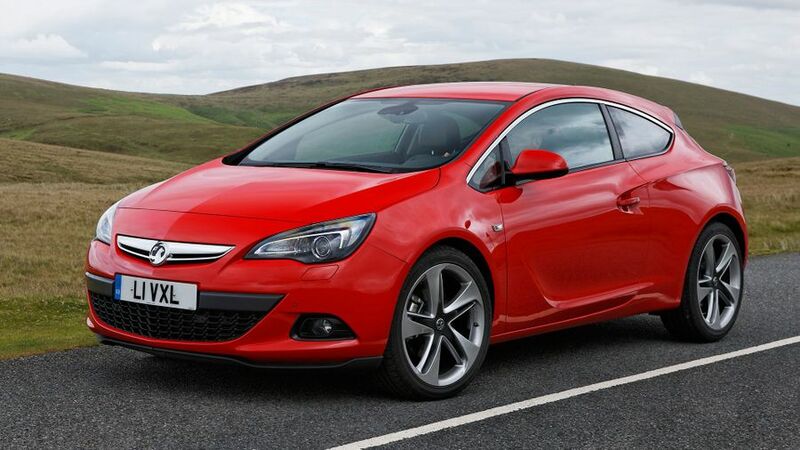 Read the Vauxhall Astra GTC coupe (2011 - ) car review by Auto Trader's motoring experts, covering price, specification, running costs, practicality, safety and how it drives. 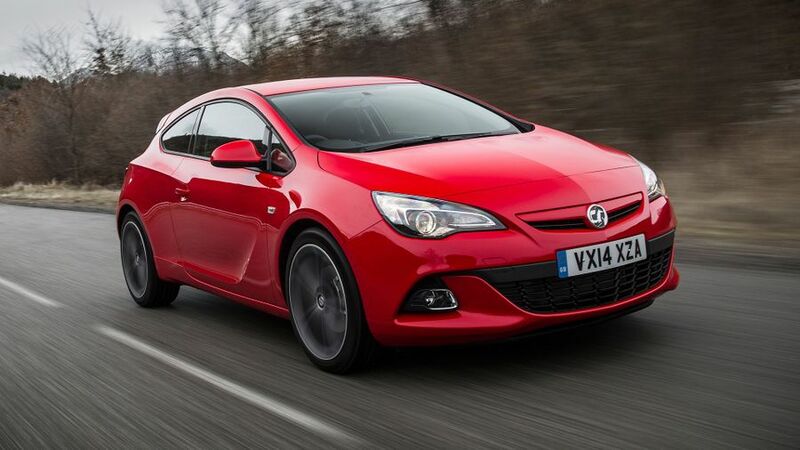 The Vauxhall Astra GTC is a surprisingly spacious five seat hatchback with attractive coupe looks. Steering and suspension developed specifically for British buyers ensures a good drive. 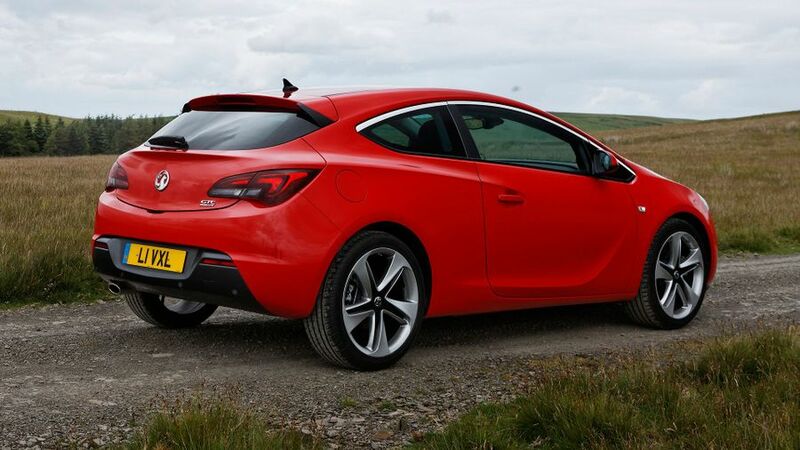 The Astra GTC is no tarted-up hatchback – Vauxhall has only carried the door handles and aerial across from the more conventional hatchback and Sports Tourer estate. The headlights are smaller than those fitted to other Astras – Vauxhall refers to them as ‘eagle-eyes’ – and a chrome strip runs across the grille, which is lower than the standard car. The rear is no less pretty with a high shoulder line and long lights evoking memories of the stunning Alfa Romeo Brera. Perhaps the most striking element is the line which runs from the rear, along the sides and around the door handles. 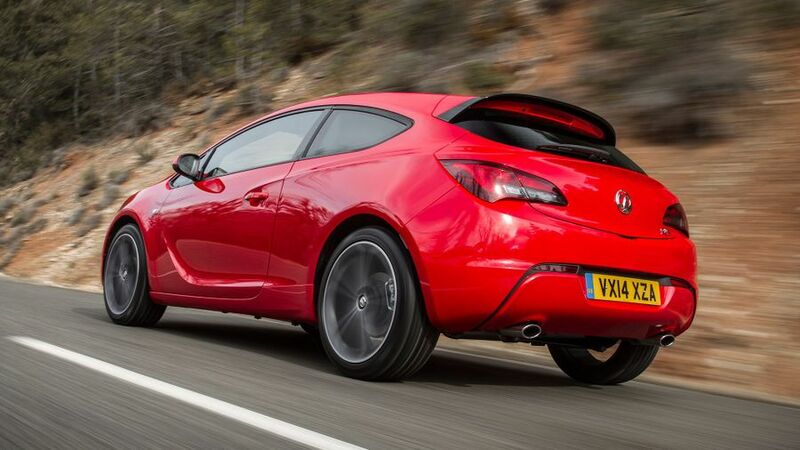 Winglets at the side of the rear wing help make the Astra GTC one of the most aerodynamic cars in its class. Much of the cabin has been borrowed from the standard Astra, and while that means it’s logical, practical and well laid-out, it lacks the design flair of the exterior. Chrome-edged dials are clear and add a sporty edge, and the red illumination is attractive at night. When the Sport mode is activated in the optional FlexRide suspension package, the white instrumentation glows a racy red. Sports seats are fitted as standard to the range-topping SRi models, but the standard seats still look the part and offer plenty of support. Despite its rakish looks, the Astra GTC is actually very spacious, with more headroom than the coupe-like roofline would suggest. Space up front is on par with the Astra hatchback, and room in the rear is adequate for two adults, although a third may complain on longer journeys. The boot measures 380 litres, which is around 90 litres larger than the Volkswagen Scirocco and 36 more than the Renault Megane Coupe. The boot is deep, although a high sill means luggage needs to be lifted a long way before it can be loaded. Storage space around the cabin is good, and has been improved by 50 per cent over the old Astra Sport Hatch. Vauxhall is keen to distance the GTC from other Astras in the range, and Vauxhall has developed a great deal of bespoke chassis equipment for it as well as optimising it for British roads. Advanced ‘HiPer Strut’ front suspension units have been borrowed from the Vauxhall Insignia VXR to improve grip and steering feel and the rear suspension has been tweaked and softened for improved ride and handling. The upshot of these changes means the GTC is a very different beast. There’s lots of grip through the bends and the ride is smoother than the performance-orientated setup would suggest. However, on cars shod with anything larger than the standard 18-inch alloys, the ride becomes crashy over broken tarmac. Cars fitted with FlexRide adaptive damping firms or softens the ride, but the standard setup is best for most scenarios. 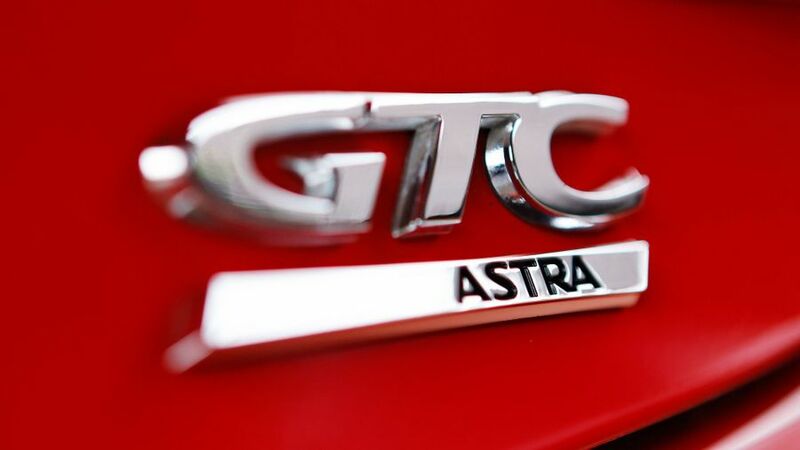 A range of engines already used in the Astra are available in the GTC. A 1.4-litre turbocharged petrol unit is available, producing 120- or 140bhp with 0-62mph times of 9- and 10.2 seconds respectively. Having sampled this engine in other Astras, it lacks the urge of other small turbocharged engines, and needs to be worked hard to get the best from it. Those seeking a faster pace can choose an 180bhp, 1.6-litre turbo which is the most powerful engine in its class. The revvy engine can reach 62mph from rest in 7.8 seconds and achieve a 137mph maximum. Diesel engines will prove very popular – a pair of 1.7-litre engines produce 110- or 130bhp with 0-62mph times of 10- or 11 seconds. Although they perform well, they’re not exceptionally refined. Far better is the 2-litre diesel, which produces 165bhp for a 0-62mph time of 8.4 seconds, although it rattles when worked hard. There's also a hot 276bhp VXR model, which is seriously rapid. The Vauxhall Astra GTC starts at slightly more than the entry-level Renault Megane Coupe, and slightly less than the Volkswagen Scirocco, but on the used market, it’s likely the VW will retain more of its original value. The most tax friendly version is the diesel-engined model, when fitted with a start/stop system, which will average the best part of 60mpg. The 1.4 petrols emit 139g/km while the 1.6 turbo is rated at 168g/km. The current Astra hasn’t been affected with any common faults yet, and the general quality of Vauxhall’s range is pretty good. Our test cars were affected by a couple of annoying rattles from the dashboard. The Astra hatchback was praised for its safety in the Euro NCAP crash test programme, so the GTC should perform equally well. Standard equipment includes six airbags, electronic stability programme, whiplash-reducing headrests, pedal release system and hill start assistance. Just two versions of the GTC are available: Sport and SRi. Sport models feature daytime running lights, 18-inch alloys, air-con, digital radio, electric windows and cruise control. SRi models add front sports seats, automatic headlights and windscreen wipers, a trip computer, front centre armrest and tinted rear windows. The Astra GTC is the best-looking Vauxhall currently on sale, and it’s the best handling to date. Low running costs for the diesels and attractive BIK rates for company car drivers makes it an appealing and affordable choice.